A mortar and pestle made by craftsmen in the ancient city of Altamura, right at the heel of the Italian boot. 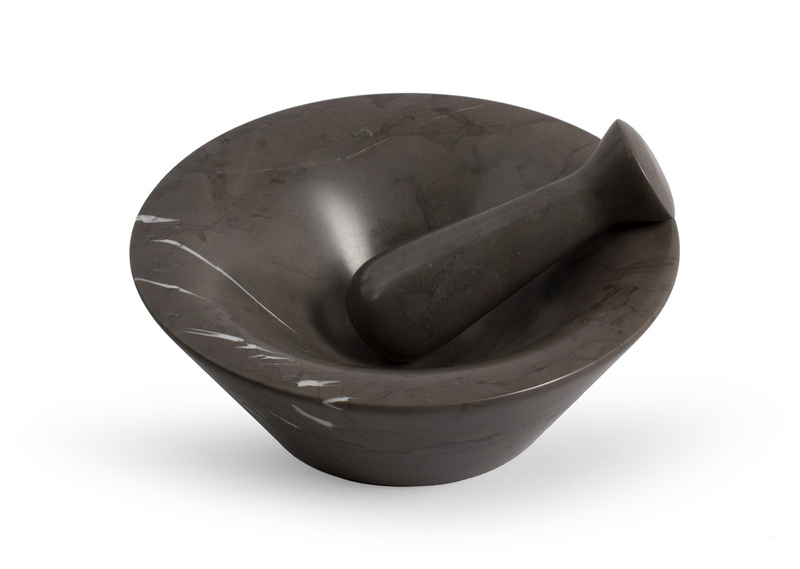 The mortar is solid and stands firmly on the countertop while handling the pestle. The sinuous bowl section eases the transfer of your freshly made pesto onto your spaghetti, and is as pleasing to the touch as it is to the eye. The satin polish makes it easy to clean. 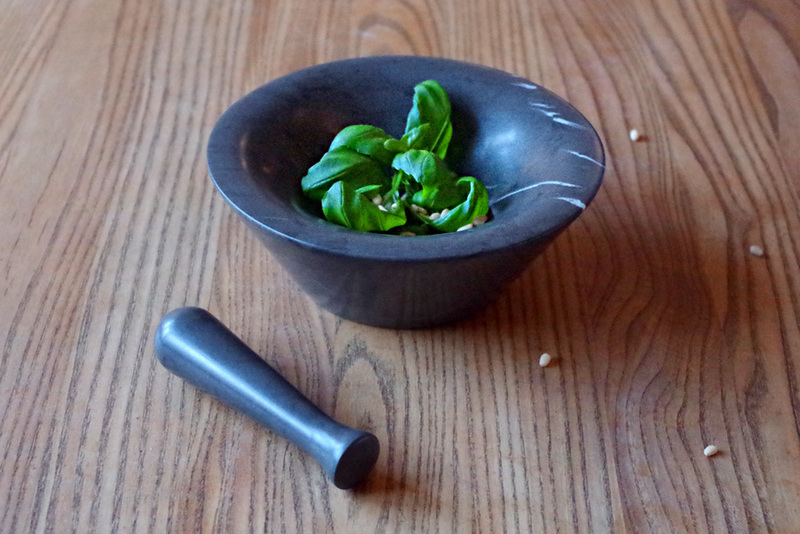 The club end of the pestle is ideal for crushing and, if reversed, the handle end is ideal for grinding. When the pestle rests the handle end is stabilised by the soft curve of the mortar and aligns with the rim, avoiding sticking out and getting caught by your sleeve.